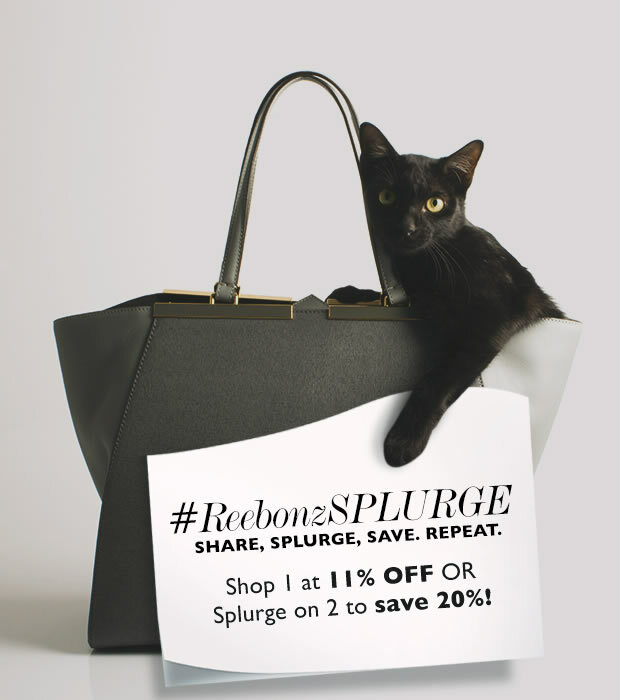 Are you ready for #ReebonzSPLURGE? Been eyeing that one luxury piece that will bring your whole look together, but it seemed just a little out of reach? Now is the time to splurge, because you will be saving as well. 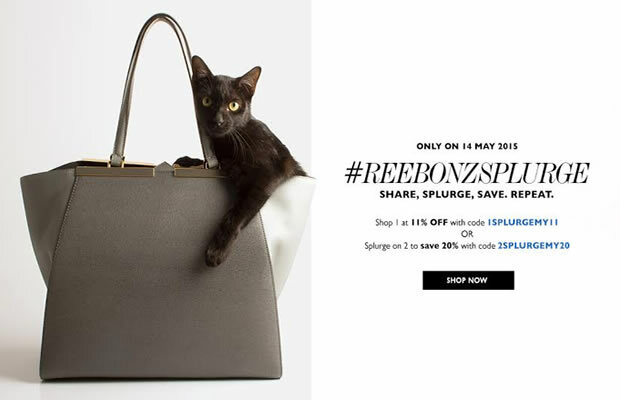 Reebonz (pronounced ‘ribbons’), Asia’s trusted online shopping destination for buying and selling the widest variety of luxury brands is letting the cat out of the bag in time for you (and maybe a bestie) to enjoy a one-day only splurge that is out of this world! This very special event drops on Thursday, May 14th, 2015, but lookout for the pre-announcement on Wednesday, May 13th and start the process of shortlisting from more than 15,000 new and pre-owned items that are bound to add class, cool and color to your fashion. Share it with your family, friends and fashionistas because this is too good to keep to yourself. Aside from the amazing deals that are at the core of Reebonz, the #ReebonzSPLURGE online sales event will give you a further 11% off with the code 1SPLURGEMY11 at checkout if you splurge on one item. Pssst…a splurge is even more satisfying when you team up with your BFF to reward both of you for just how excellent you are at everything you do. Increase the fun and the savings when you splurge on two or more items and use the code 2SPLURGEMY20 at checkout to receive a whopping 20% on your total order of must-have luxuries! Insider tip – the most coveted items will be snapped up in the blink of an eye as Reebonz brings in limited quantities of each designer item to ensure exclusivity, so be the first to splurge from 12:01am on May 14th. Head to http://www.reebonz.com.my to start browsing for your essential splurge. 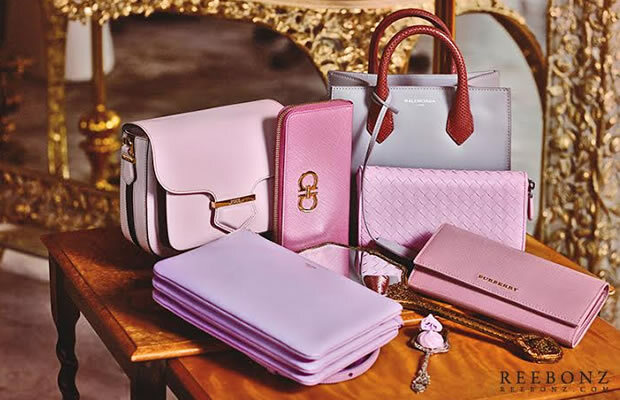 If you’ve missed your favorites, visit Reebonz again at 10am when we add on new designer items. “Modeled around the concept of ‘accessible luxury’, Reebonz brings to its members a well-curated collection of new and pre-owned luxuries from the best designer brands in the world, authenticity guaranteed with on-time delivery and tracking that gives a new dimension to luxury shopping online. 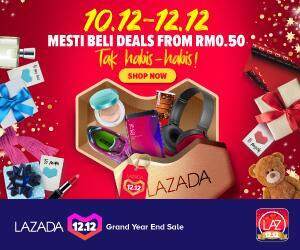 The #ReebonzSPLURGE one-day event is our way of rewarding existing and new members with more pleasant surprises to WOW them,” shared Mr. Tang Siew Wai, Country General Manager of Reebonz Malaysia. Previous articleKorean group BIGBANG to perform live in KL this July!